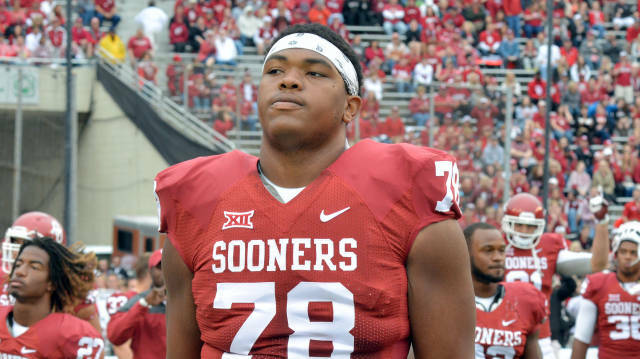 Oklahoma left tackle Orlando Brown turned his shoulders Monday in OU’s indoor practice facility. He looked toward the crimson national championship banners hanging in the distance. “I’m trying to get another one of those,” he said. Brown confirmed Monday he will return for his redshirt junior season rather than enter the NFL Draft.